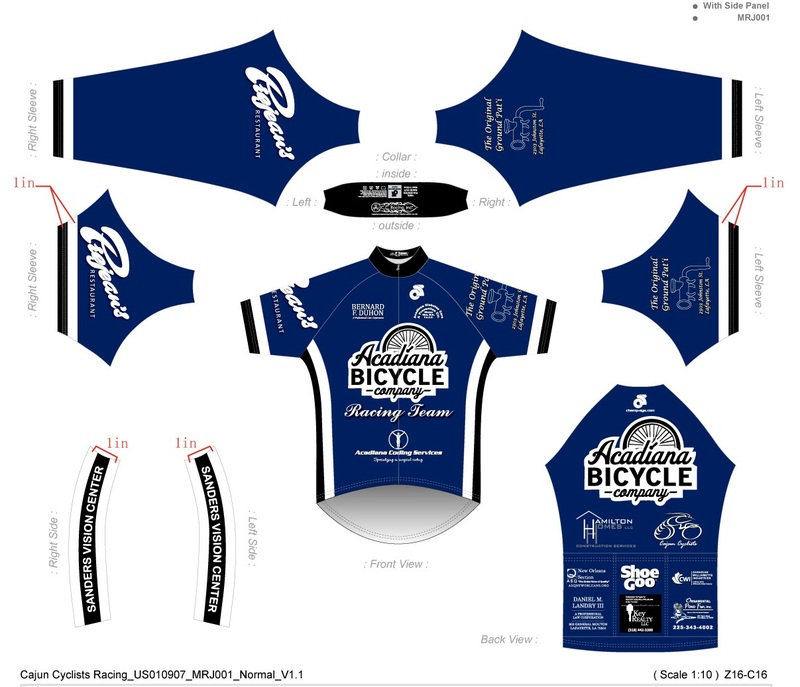 The 2012 Acadiana Bicycle Company Race team jersey proof has been finished by Champion Systems and approved. The next step is to get the artwork for the shorts approved. There is a 6 to 8 week process time for creating the uniforms once the artwork is approved for both the shorts and the jersey. We should be getting the uniform around mid to late March. Thanks to Glenn “Rocket Richard” Special thanks to Glenn “Rocket Richard” for re-creating all of the logos in a usable vector format and then placing all of the logos on the jersey template for submission to Champion Systems. This was many, many, many hours of work by Glenn. What makes a GREAT training partner?